Choosing an upholstery sewing machine from the variety of brands and models available can be quite overwhelming. Not all sewing machines labeled as heavy-duty are capable of getting through upholstery materials – far from it. 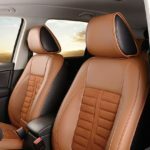 It takes a special kind of sewing machine to handle multiple layers of tough upholstery materials. Using anything inferior will result not only to frustration on your part, but also waste of time and money. Before you press “Buy,” inspect a few things first. Look for a sewing machine with the right heft to it – something close to 20 pounds. Heavier will be better. Lightweight machines will be toppled by the weight of your heavy upholstery materials. It must have a powerful motor to tackle the job. For industrial purposes, you should look for a motor with at least 750w power. For home upholstery projects, you’ll do fine with 1/10 of that power. You’d also want it to have a reverse stitch lever for locking the beginning and end of the stitches. Look for high presser foot clearance. This feature is essential when sewing thick layers of fabric. The most important feature would be a walking foot. The sewing machine must come with this special accessory. A walking foot makes it possible for all the layers to move forward in the same speed. Using the guide, you may now start shopping for the upholstery sewing machine that’s right for your needs. Initially, you may want to look at our top 3 picks. You’ll never go wrong with Sailrite’s LSZ-1 heavy duty sewing machine. This no-frills machine is designed for sewing layered fabrics. It’s the perfect choice for upholstery, leather, webbing, and sailcloth projects. In a test, which it passed with flying colors, it sewed through 10 layers of canvas and 8 layers of Dacron. LSZ-1 is almost all steel and metal with hardly any plastic parts. All that metallic muscle makes it weigh close to 50 pounds. It’s not exactly portable, which is a good thing given its purpose. You won’t find it tipping over your heavy upholstery materials. 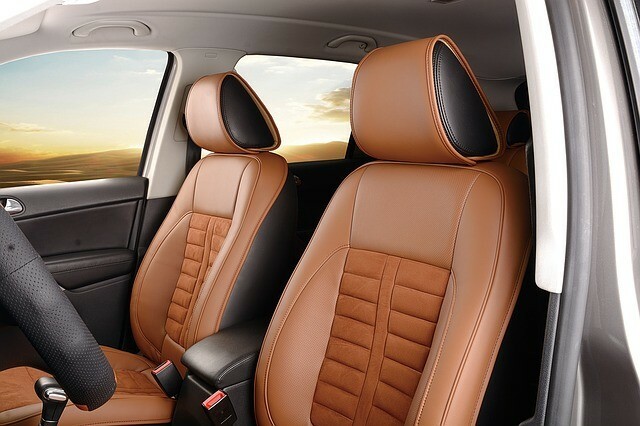 It has all the features that you need, like walking foot and reverse stitching. There are two built-in stitches – straight and zigzag. Don’t be discouraged with this lack of variety in stitches. These two are all that you’ll need for sails and upholstery projects. LSZ-1 works with ease with upholstery needles from size 18 to 20 and heavy threads up to V-92. It has no problem sewing with much smaller gauges. Janome HD3000 may not be as high-end as Sailrite LSZ-1, but it’s a top performer for domestic purposes. It will sew through thick layers of fabric, but far from the level of what LSZ-1 tackles effortlessly. If you intend to stitch up 3-4 layers of upholstery fabric, vinyl, leather, or even several layers of denim, Janome HD3000 will stand up to that beautifully. It weighs over 20 pounds, which is heavier than most home brands. 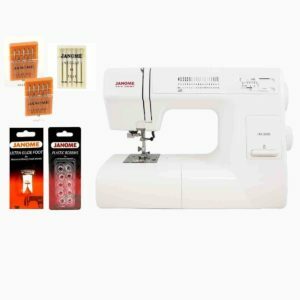 Janome HD3000 is an all-around home sewing machine, so it has a fancier stitch selection than LSZ-1. It has 18 built-in stitches including a 1-step buttonholer. It also does reverse. 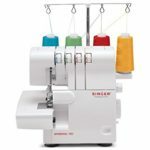 It is equipped with a top-loading full-rotary hook bobbin system and lay-in thread tension control. You’ll receive this machine with its accessories. It comes with a speed control pedal, leather needles, presser feet, and some tools. It can be fitted with a matching walking foot, which is necessary for thicker projects. 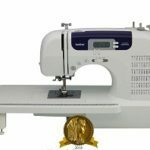 This Singer Heavy Duty sewing machine is the least expensive machine in our list. It’s the ideal choice for those who sew various home projects with occasional layered projects. 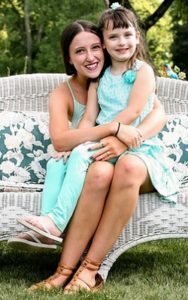 You will be able to do quilts, upholstery, and denim projects. It has 32 built-in stitches including a fully-automatic 1-step buttonholer. 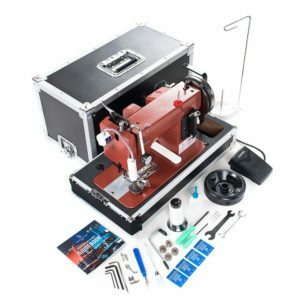 It features a top-loading bobbin system, an automatic needle threader, and a high presser foot clearance. It has a metal-constructed interior but weighs lighter than Janome HD3000. Singer HD4452’s 85-watt motor is 60% stronger than the average Singer sewing machine. It churns stitches fast at 1,100 per minute. Like Janome HD3000, this is a real workhorse among home sewing machines. By industrial standards, though, it may not score very high. Even then, we do believe that this Singer heavy duty sewing machine has two strong selling points. One, it is inexpensive; two, it is versatile. We highly recommend these three heavy duty machines for upholstery projects. Your final decision boils down to what type of projects you mostly do. If you do a fair share of upholstery projects, Sailrite LSZ-1 should definitely be your choice. Remember though that it doesn’t have speed and versatility. Janome HD3000 and Singer HD4452 have both and are way cheaper, too. 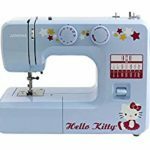 These upholstery sewing machines are your best options if you also do other projects that require you to be fast and versatile.